Before JJ Abrams was directing follow ups to the legacies of both Star Trek and Star Wars, he made his big splash with a dramatic television series ostensibly about the survivors of a plane crash, stranded on an uncharted island in the Pacific Ocean, desperately trying to both survive and get rescued. 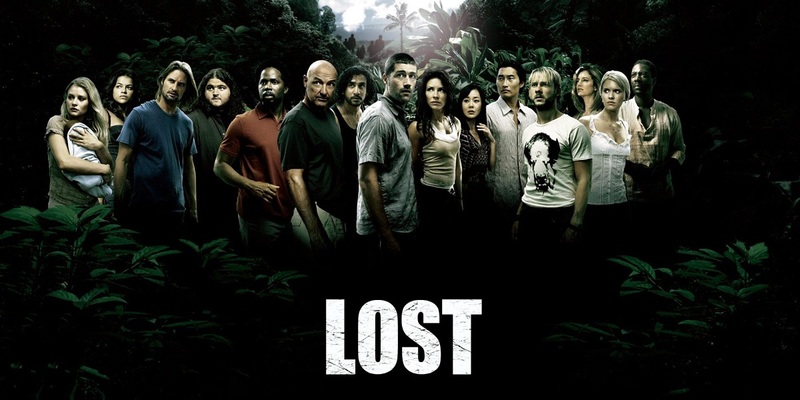 Lost spanned six seasons and aired weekly on ABC from 2004 to 2010, and encompassed over a hundred episodes. Most episodes focus on a key character on the island, and often reveal bits of dramatic irony via flashbacks. And each episode ends on a cliffhanger, which sets the stage for a continuous story—a daunting prospect for newbies to the series, sure to find themselves overwhelmed as to the inevitable commitment with which the series tempts its viewers. While by no means comprehensive, this chronological list explores the most memorable and accomplished of the series. Here are the 13 Best Episodes of Lost. Fair warning: there be SPOILERS here. The pilot to the series is not only crucial from a plot-oriented standpoint, but is itself a riveting and tense account of the terror which grips the survivors of the transcontinental Oceanic 815 plane crash. Virtually from the start, we are thrown right into the action, as the de facto main character of Lost, Jack Shephard (Matthew Fox) opens his eyes in the jungle, and emerges on to a sunny beach of screams and engines firing. Lost smartly introduces characters via action here, not by having them walk onto the screen and simply say their names. We learn more about the key players by how they react to the shock of the traumatic event. Wounded from the crash, Jack implores a woman named Kate (Evangeline Lilly) to stitch him back up, though she is apprehensive at the prospect. While recalling an important story about his means to cope with his fear, Jack reveals that his life prior to the crash was that of a spinal surgeon, and the story becomes the first of many connections between Jack and Kate to follow, establishing trust between the two. Originally conceived as a dramatic counterpoint to the reality show Survivor, elements of the struggle to survive in the wilderness are as integral to the plot as is the looming presence of the unknown force lurking in the trees. Establishing shots of survivors climbing the mountain to desperately try to get a clear signal for a transceiver recovered from the cockpit would not look out-of-place in a documentary, and give the show the sense of nature as an enemy, but still introduces some of the weirder elements for which the series would become known, such as a surprise ambush by a polar bear. Split into two parts, the first half of the pilot is notably free from the flashbacks which would be the narrative hallmark of the series. That said, it is after Jack's recollections of his past that others follow, like Kate and Charlie (Dominic Monaghan), revealing key insight into these characters, often about a past they wouldn't want to share, one they must leave behind in order to survive. By the end of the pilot, we have what will become the core group of the survivors—even if we don't have everyone's names—and Lost firmly establishes the tropes of the series to follow, as well as portending future events, laying the groundwork for the elaborate mystery. "Tabula Rasa" continues the character development begun in the pilot, extending this to other key players and core characters for the series as a whole. Namely, we're given more of a formal introduction to Sawyer (Josh Holloway) beyond his initial confrontation with Sayid (Naveen Andrews). Sawyer begins as a stereotype, but over the course of the series becomes one of the most complex characters, with almost as diverse and interesting of a past as Kate. Speaking of Kate, "Tabula Rasa" begins a series of flashbacks to Kate's past, which is checkered, to say the least. As a fugitive, her flashbacks, in which she is forced to adopt aliases to evade capture, are reminiscent of other dramatic action series, such as The Fugitive or JJ Abrams' own Alias. Additionally, other character qualities become established and maintained through the series. Hugo “Hurley” Reyes (Jorge Garcia) quickly becomes the beacon of warmth for the series, and is often the manifestation of “conscience” for others—an “angel on the shoulder.” Michael (Harold Perrineau) is desperate to prove himself as a father, an undercurrent which is felt in all of his interactions going forward. And Sawyer's cunning and aptitude for deception makes him the wild card in conflicts and desperate situations. The first season of this series was simply so good, that several of the introductory episodes warrant inclusion here. While up until this point, the show has focused on Jack, Kate, Charlie, and a few others, "Walkabout" marks the proper introduction to one of Lost's most enduring and magnetic characters: John Locke (Terry O'Quinn). O'Quinn's addition to Lost's ensemble cast is arguably one of the series' triumphs; his portrayal of the determined and somewhat tragic survivor is—even if you're somehow not vested in the series as a whole—likely enough to keep your attention rapt, and his origin flashback establishes his role in the series as a major anchor character and a unique counterpoint to Jack. There's a scene in the pilot where Locke describes backgammon to Walt (Malcolm David Kelley) as a game where “one is light, and one is dark;” it is a theme which pervades the series as a whole, and a thought which also describes Jack and Locke to an extent. They are both heroic characters, but from different backgrounds... and different walks of life. "Walkabout" establishes Locke as the “yin” to Jack's “yang.” For Jack, responsibility is a burden, but for Locke, it is an opportunity. While Jack is apparently straightforward about his past, Locke takes this disaster as a chance for a fresh start, allowing others perceptions of him to define him as a survivor and expert hunter, and not the boring man pitied by others in his past life. As in "Walkabout," "Deus Ex Machina" is a “Locke” episode, since it focuses primarily on Locke, and the flashback element of the narrative is principally concerned with his past. Like many flashbacks, the events in the past parallel that of the present on the island. Locke and Boone (Ian Somerhalder) struggle to break into the recently discovered “hatch” found buried on the island, and the opening scene of Locke demonstrating the game of Mousetrap for a child represents this. It also represents how all of the pieces fit together—parts to the comprehensive whole—which, when complete, work together to achieve the goal; the same kind of metaphor could just as easily apply to faith, and that is the real theme at the crux of this episode of Lost. The title—"Deus Ex Machina"—comes from a dramatic narrative convention, where a seemingly impossible situation is resolved by the arbitrary introduction of a new element. In Locke's flashback, this comes in the form of his sudden reemergence of his parents; in the present, it is a bit more literal, as a Beechcraft—a literal machine—is discovered via Locke's vision. There is irony in this episode, since elements which would be associated with providence are generally mechanical in nature, including Locke's father's dialysis machine, or even Sawyer's glasses. Even Locke's wheelchair proves to be emblematic of this. Although Locke's best known catchphrase is “don't tell me what I can't do,” his real mantra is that everything happens for a reason. While not religious, it is clear that Locke is a man of faith, one which was cruelly capitalized on in his past—more than once—leading to events which ultimately broke his body, but not his spirit. Faith drives Locke, even when events are incomprehensible, such as his visions, which lead to Boone's unfortunate fate, a sacrifice on the altar of a higher purpose. This is the beginning of a supernatural element which becomes crucial to the series later. And all faith is a test, one which for Locke leads him to a final shot for the episode, which remains one of the most iconic for the series. The animosity and power struggle hinted at between Jack and Locke comes into sharper focus in the second season, evidenced by the title, which delineates Jack and Lock by their respective traits. With the Others lurking as an unknown threat to the survivors, Jack and Locke have debated the option of blowing open the hatch found in the jungle, but a significant reason for Jack's apprehension at trusting Locke's plan is unfolded in his flashback. Jack recalls a victim of a car accident named Sarah (Julie Bowen), whose spine is so damaged, that Jack refuses to offer her any hope that even with his best efforts that she will walk again, which prompts Jack's father, Christian (John Terry) to advocate the merits of hope as a healing tool; Hurley similarly chastises Jack for his shaky bedside manner on the island. Coming back to the title—"Man of Science, Man of Faith"—it becomes clear that while the episode primarily concerns Jack, these two concepts are not mutually exclusive. Season 2 also establishes a trend for the bold openings for the seasons to follow. Here we see an unidentified man going about a daily routine, in a locale which might be anywhere in the world at any time. The scene is set to “Make Your Own Kind of Music,” performed by “Mama” Cass Elliot, and while seemingly anachronistic to the tension often established in the show, is effectively a “theme” for the character later revealed to be Desmond Hume (Henry Ian Cusick). Only when a massive explosion rocks this scene, do we understand that Lost has been performing one of many deceptions upon us, revealing by virtue of Jack and Locke staring down the canal into the hatch—now blown open—that this scene was right beneath their noses (and ours) the whole time. There is a moment when Jack is running a tour de stade, trying to work out his inner demons, and finds Desmond doing the same. They talk about their respective drives and beliefs, the nature of miracles, and why Jack doesn't believe in them, whereas Desmond addresses Jack as “brother,” like a man possessed of holy influence. And when they part, Desmond says to Jack: “See you in another life, brother;” in effect, he does. Jack is entrenched in science, and has previously established he is not religious. And yet, be it science or faith, there is an arrogance in believing in something too rigidly, that it blinds you to another perspective, another possibility, another answer. The “Tailies”; love 'em or hate 'em, they afford the storytellers of Lost a unique opportunity to subvert our expectations of heroes and archetypes. Already introduced in part in preceding episodes—misinterpreted as “The Others” by survivors of the raft—the episode chronicles how the passengers of Oceanic 815 traveling in the tail section survived, in contrast to the other survivors we have come to know. To an extent, it is like a “clip show,” except for a series that never existed, detailing the key days in their survival. In contrast, while the survivors of the midsection were challenged by the “smoke monster” early on, the Tailies had to contend with the presence of the true “Others” far earlier. "The Other 48 Days" moves at breakneck speed, so we get acquainted with the key players via condensed scenes that establish their core traits. Ana Lucia Cortez (Michelle Rodriguez) is not the strong leader that Jack or Locke are, but she was trained as a cop and her deductive acumen is her strength, except when it is manipulated and warped into paranoia as the rigors of survival and presence of unknown quantities claws at her mind. Characters mentioned in passing in season 1, like Bernard (Sam Anderson), make their appearance here, as do characters like flight attendant Cindy (Kimberley Joseph), who gave Jack his extra bottles of vodka in the pilot flashback. Moments like this further cement an interconnectedness that is a core theme of Lost. There's even a clever callback to "Deus Ex Machina," when after Boone sends the transmission from the Beechcraft, it is in fact Bernard who answers. In keeping with Lost's playful subversion of our expectations, "One of Them" plays a great trick on us. Formally, it presents itself as another flashback episode for Sayid—once concerning themes of loyalty and deception—but there is a secret lurking, waiting to unleash a crucial character into the Lost mythos. Meet Henry Gale (Michael Emerson). The interconnectedness of Lost is key here; Henry Gale is found by Danielle Rousseau (Mira Furlan), a survivor of the island for sixteen years, who previously abducted Sayid and tortured him in an ironic parody of his own skills acquired as a torturer, which he acquired during a time portrayed in his flashback in "One of Them." Danielle has been searching for her daughter, Alex, a connection which only becomes clear in seasons to come, but is established here. It was said by the creators that Michael Emerson's role was expanded on greatly as a result of his monumental performance in "One of Them," and he ended up becoming a series regular. It's a convincing assertion. Henry Gale's presence is a skillful lynchpin. By merely being there, he forces a schism between Jack and Locke to rupture wider; just what The Others would want to happen. And while this list is composed of fairly serious episodes, this one does feature a humorous and initially lighthearted subplot where Sawyer recruits Hurley to help him hunt a noisy tree frog in Looney Tunes fashion... until Sawyer catches it. Between this and Sayid's admission to Henry Gale, it becomes clear that when forced to endure under foreign environs, one's true colors come out... save for those with a natural predilection for hiding in plain sight. Although Juliet made her debut in true Lost fashion at the beginning of season 3, here is where we get the crucial, sorrowful flashback to this intriguing character. Juliet is a favorite because she is not like the other Others, if you'll excuse the phrase. She is consistently pulled in all different directions, and comes to be viewed as a pariah among both the survivors and the Others. She is a woman of science, a fertility doctor who is under the impression she will be contributing to a cause to aid her sister's desire to become pregnant. But before she can back out, she finds herself among wolves, and must use her cunning to survive, knowing that honesty is a luxury she cannot afford. From the opening, the question we have is how Juliet could go from being so sympathetic to being so ruthless, between the flashback to her sister in Miami and her bargaining play with Jack as Ben bleeds out on the operating table, so that Kate and Sawyer can make their escape from their prison cage. Juliet appears out-of-place among the Others, just as she was displaced in her life prior to the island, a trend which continues for her throughout the series. Juliet's past shows her as mousy and browbeaten by an ex-husband uninterested in anything but himself. In her flashback, she is approached by Richard Alpert (Nestor Carbonell) to join their research group, but she painfully admits the grip her ex has over her, and half-jokingly admits the only way she could leave is if he were hit by a bus. After he actually is hit by a bus, she comes to the conclusion that sometimes the right people have to die to make the world a better place. "Through the Looking Glass" is the real turning point for Lost, one which upends many of the foundations the series has been built upon, unsettling our expectations. It begins with a bearded Jack, disheveled and morose, his appearance and demeanor already a clue for fans that something is cooking in the soup pot of mind-blowing shockers. This transition also establishes the island as something special, core to the being of its residents which will not be denied. Scenes are intercut between this Jack and the one described by the mystery woman, Naomi (Marsha Thomason), as “Moses”, leading his people to the promised land before an impending attack by the Others, their confrontation coming to a violent head. This parallel is more pronounced as Ben appears as a tyrannical Ramses, chasing down the survivors, determined to prevent them from escaping for reasons which become clear in time. This episode also showcases Charlie's moment of redemption, confronting the terror of the prophesy Desmond revealed to him about his imminent death. It is the supreme moment of heroism for the man who was at the beginning of the series just a rock star junkie, transformed and reborn. And of course, that the code is a send up to The Beach Boys makes for a clever turn for the ex-bassist of Drive Shaft. Of course, the title is a reference to Lewis Carroll's followup to Alice in Wonderland, as well as the Dharma station that Charlie must infiltrate to allow the survivors a chance to contact Naomi's boat, not to mention the sorrowful, ironic means by which Charlie gives Desmond his last, crucial message. It also concerns Jack, shattered by something he has lost. Jack reflects on his past—what he has left behind, the friend who he learned suddenly died, one where he is the only attendant at the viewing. It is, like the book, also like a sequel, a story about returning to the strange wonderland, where there may have been so much calamity, but also a sense of life that makes the real world a mere reflection by comparison. Widely regarded as the “best” episode in the series—and one of the best episodes in any dramatic series—"The Constant" cleverly subverts the convention of the flashback from the start, as Desmond's consciousness bounces between his past and the “present' as we know it. Desmond's story has frequently been at the head of the unexplained phenomena of Lost, first through his visions and the mysteries of the island, monitored in the hatch, but now in the realm of hypothetical science, a theme largely present in the series. One of the few benevolent freighter people, Daniel Faraday (Jeremy Davies) tries to explain the phenomenon to Jack and Juliet, observing that their “perception” of time is not the reality of it, which hints at the idea of time as a malleable force, not merely a straight line. The episode also introduces us to the sinister mercenary, Keamy (Kevin Durand) who, unlike Ben, is a thoroughly cold-hearted and cruel villain. Daniel explains to Desmond the nature of the constant, telling him to find him in the past, to create a temporal connection, a link, a means to cope with the conflicting fourth dimension. It is a bridge between the past and a present, and a metaphorical one for the narrative structure of the series as a whole. Faraday explains to Desmond that in order to stabilize his consciousness, he needs something constant between times, advise which paradoxically makes him into who he is. The episode is a masterpiece of cause and effect, with Desmond as the pendulum swinging back and forth. "The Constant" also contributes other crucial nuggets about the connection between Charles Widmore (Alan Dale) and the island, adding more pieces to the puzzle, clarifying the big picture about what the island is and what it means to those who seek it. There is also a call back to the end of season 3, how Charlie saved Desmond, who in turn previously saved Charlie. "The Constant" is about the connections we make with one another, be it a phone call, a friend, a brother, or a lover, the constants in our lives. Following the nigh-cataclysmic events of the season 4 finale, the survivors were splintered. Some were reclaimed and returned to civilization, carrying the secret of the island with them as an albatross around their collective necks, Jack's burden apparently the heaviest of all. For those left on the island, they are cast back into the past, and bear witness to the Dharma Initiative's formative years, with their strange manner and pseudo-science making them the progenitors of the Others. While Lost has always been adept at telling two stories simultaneously, this has been principally via flashbacks (or “flash-forwards,” in the case of season 4, and the finale of season 3). But here, it is in fact a matter of two different timelines, albeit with familiar characters. Faraday's explanation of their “dislodging” in time is to use a skipping record as an analogy, an ironic choice given the cold open featuring the lead researcher of the Dharma Initiative, Dr. Chang (François Chau)—through a “flash-forward flashback,” if you will. And John Locke is displaced even further, following his own path through time on the island, bearing witness to a series of events for the island's history in a bit of clever world building for the series mythos. Yet another ironic element of "Because You Left," regarding the chronology of season 5, is that for the “flash forward” storyline, even this starts in medias res, and reintroductions to characters like Sayid and Ben give us pause about what happened before to bring them to this point, revealed as the season progresses. More than just a stylistic flourish, the fractured narrative actually has context, given the time-hopping nature of the season. Like a natural extension of "The Constant," "Because You Left" also recalls the time paradoxes and constants between Faraday and Desmond, and Faraday manages to exploit this wrinkle in time, observing that Desmond is wholly unique to his synchronicity with time-space. One of the defining characteristics of Greek tragedies is that they often are about the gods on high manipulating the common folk like pieces on a chessboard; and Richard Alpert has been Jacob's pawn for longer than anyone else, since not long after the shipwreck of the Black Rock—first referenced in season 1—in the 19th century. In "Ab Aeterno," his origin into this large play across time is revealed, as is his bizarre way of appearing the same age throughout the 20th century, regardless of the year. But while Richard was chosen over a century and a half ago, he is no longer willing to put up with the machinations of seemingly indifferent gods who are inscrutable and apparently neutral to his own suffering and those around him. Richard's assertion that the survivors and him are all dead—and in Hell—is born from his flashback, recalling his life in the 19th century Canary Islands, where following the accidental killing of a corrupt doctor while trying to procure medicine for his wife, he is imprisoned and condemned to die. He attempts to make his confession with a priest, only to be informed that he cannot be saved, and will go to Hell. It is the beginning of his loss of faith, finally realized in the present, many years later, when his faith is once again compromised, this time by Jacob (Mark Pellegrino). It is not surprising that Richard's story recalls the story of Job, where Job's faith is tested to see if after enduring terrible suffering, he will remain faithful to God; this is where Job and Richard differ. Richard is sold into slavery aboard the Black Rock, which as we know by this point, is fated to be shipwrecked on the island. "Ab Aeterno" also gives significance to a line uttered by “Locke” to Richard: “It's good to see you out of those chains,” a reveal only fully realized in this episode. There is also a key moment where Richard is confronted by the smoke monster, and prays for salvation. Richard is a man of faith, like Locke and Mr. Eko (Adewale Akinnuoye-Agbaje) before him, who also confronted the smoke monster and lived. The smoke monster/Man in Black (Titus Welliver) is forced to operate by certain rules, and perhaps one of them is his aversion to faith, not unlike the devil whom Richard believes is harrying him. It's been a long journey. Although a bit weepy, the opening montage is important for "The End," flashing back between the island and the flash-sideways “lives” of some of the more crucial characters here, including Jack, Ben, Sawyer, Kate, and Locke, and how their lives have been or could have been. "The End" is appropriately a narrative bookend for a series, which showrunners Carlton Cuse and Damon Lindelof had described as a series about people who had “lost their lives” following a plane crash, and everything that has followed has been effectively an “afterlife.” Richard comments that the island is “Hell” in "Ab Aeterno"—albeit a green one if it is—but one which also on the surface is a paradise, vibrant and lush, save for the incursion of evil by men and the resident Man in Black. And while some have rankled at the idea of a religious conclusion, the concept of an afterlife has always had its basis in religion, as do other supernatural myths and legends. It is about letting go and moving on, not being haunted by the past. Following Jacob's apparent demise/departure, Jack appears to be the inheritor of his legacy, and is tasked with stopping the Man in Black from setting himself free upon the world, which in turn means its destruction. Meanwhile, the drama unfolding in the flash-sideways results in the remaining characters—often led by the few emissaries like Desmond recalling their other life—reclaiming their memories as if awakening from a dream. There is a moment when Jack and Desmond talk about the significance of their being at the “light” at the heart of the island. Desmond proclaims that their current plight doesn't matter in the grand scheme of things, alluding to the world he has witnessed beyond. Jack, however, indicates that the actions in our world do matter, and that responsibility must be taken. Which is right? The answer is none and both. The world would be easy if it were black and white, if the answers were absolute; but they are not, and "The End" accepts all of the myriad perspectives, the answers, the possibilities, inclusive and made whole as a result. And, of course, it is the only episode not to leave off on a cliffhanger. What episodes do you love from Lost? Let us know in the comments!